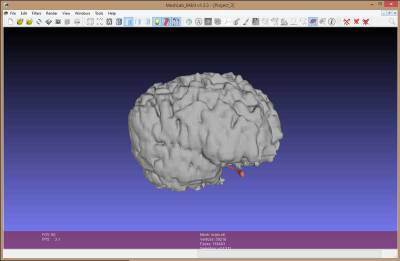 If you’ve been through the experience of having a complete MRI brain scan, and you’re not squeamish about such things, you might be interested in building a scale model 3D print of your brain itself. That MRI scan data means you now have the option to print your brain. As for that MRI scan, you’ll need the sort of scan free of surrounding structures, and a radiologist can create a range of scans and analysis for the various elements of tissues. Why you’d do this without significant motivation is anyone’s guess, but author and editor Richard Baguley went that route. He says once you request DICOM data of your brain, it’s possible to ask for a CD which includes the various scans, or failing that, go straight to your doctor to make the request–as the patient, it’s within your purview to ask for these files. DICOM, or Digital Images and Communications in Medicine, data represents an open format which can be utilized by a range of medical systems. 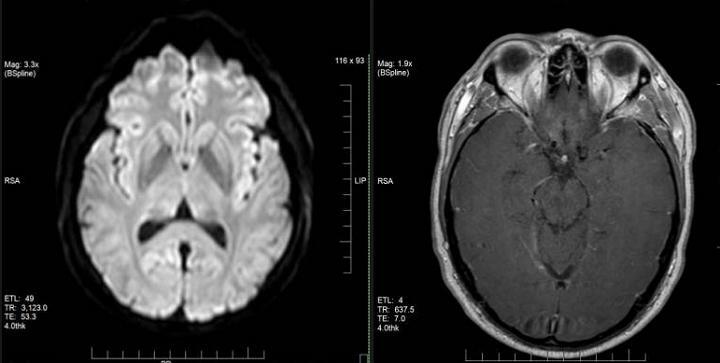 Magnetic Resonance Imaging itself is amazing technology which uses a powerful magnetic field to react with the atoms of the human body to create a radio signal, and by shaping the resulting magnetic field, the MRI can map and capture the structure of the brain and its varying tissues and blood vessels. Baguley says converting the images for 3D printing can be done via a host of free and open source software such as Slicerweb, Osirix, 3DSlicer and Invesialus. He uses InVesalius in his tutorial, finding it the most simple package to take on the task. His step-by-step description of the process results in an .STL file, but he says there’s a bit of work left to be done after that. He uses MeshLab to clean up model up prepare for printing. Ultimately, Baguley printed out his version of his brain via Cura and a Lulzbot TAZ 5 printer. He adds that with a satisfactory 3D model complete, he may well print it in a flexible plastic or laser-cut it from wood to produce an interesting ornament…because what do you really do with a 3D printed brain? Baguley has been writing about technology for more than 20 years and his credits include work in Wired, Macworld, USA Today and Reviewed.com. You can read the exceptionally detailed documentation Baguley created for his Brain Printing Project here on Hackaday.